Located in the heart of Budva, this spa hotel is 0.2 mi (0.4 km) from Slovenska Beach and within 3 mi (5 km) of Becici Beach and Jaz Beach. Sveti Nikola Island and Mogren Beach are also within 15 minutes. 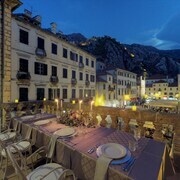 Located in Kotor Old Town, this boutique hotel is steps from St. Triphon Cathedral and Kotor Bay. 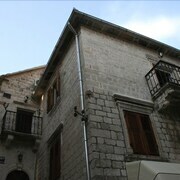 Kotor Old Town Walls is 0.6 mi (1 km) away. 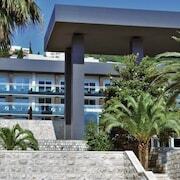 Situated in Igalo, this all-inclusive hotel is within 1 mi (2 km) of Igalo Beach and Kotor Bay. Church of St Michael and Kanli Kula Fortress are also within 2 mi (3 km). 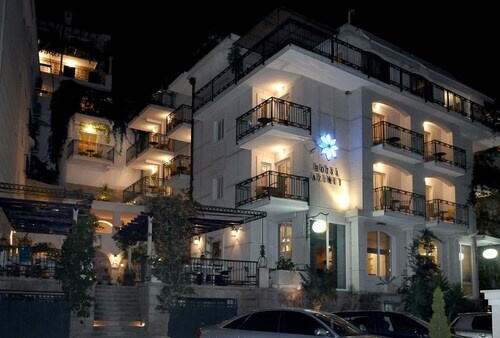 Nestled on the beach, this Ulcinj aparthotel is within 1 mi (2 km) of Mala Plaza and Ulcinj Fortress. Velika Plaza Beach is 3.4 mi (5.5 km) away. 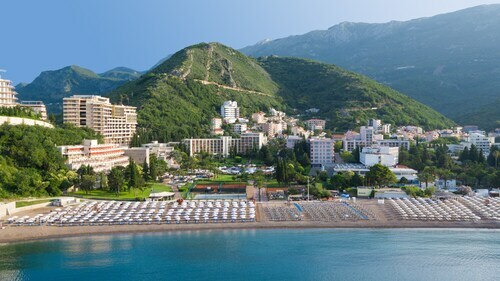 With direct access to the beach, this Budva hotel is in the city center and within 3 mi (5 km) of Slovenska Beach, Becici Beach, and Jaz Beach. Mogren Beach and Sveti Nikola Island are also within 1 mi (2 km). 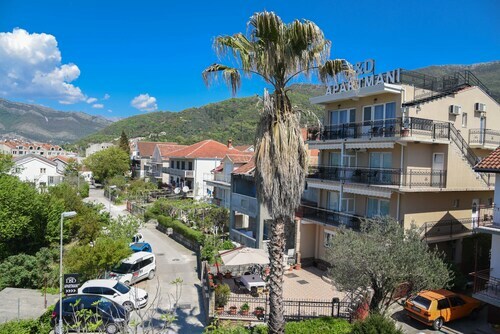 This family-friendly Tivat apartment building is located near the airport, 0.1 mi (0.1 km) from Kotor Bay, and within 9 mi (15 km) of Church of the Nativity of the Virgin Mary and Kotor Old Town Walls. St. Triphon Cathedral and Savina Monastery are also within 12 mi (20 km). Situated in Becici, this hotel is within 1 mi (2 km) of Slovenska Beach and Becici Beach. Sveti Nikola Island and Kamenovo Beach are also within 2 mi (3 km). 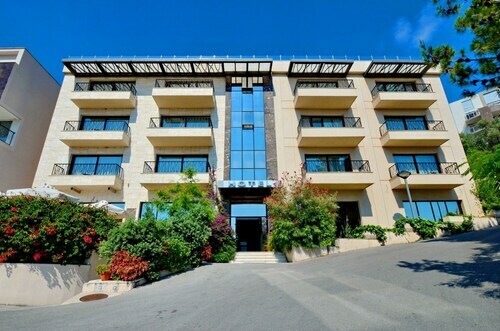 Situated in Ulcinj, this apartment building is within 1 mi (2 km) of Mala Plaza and Ulcinj Fortress. Velika Plaza Beach is 3.2 mi (5.2 km) away. Nestled on the beach, this Becici hotel is within 2 mi (3 km) of Becici Beach, Kamenovo Beach, and Slovenska Beach. Mogren Beach and Milocer Beach are also within 3 mi (5 km). 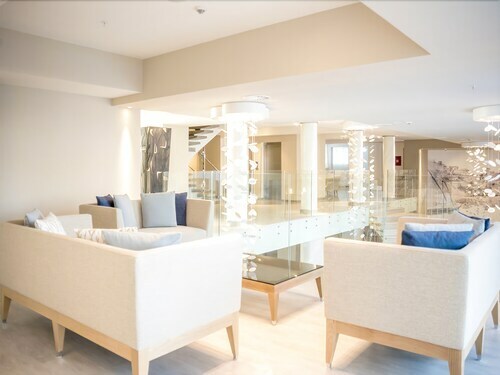 Offering direct access to the beach, this Kotor hotel is 0.1 mi (0.1 km) from Church of the Nativity of the Virgin Mary and within 6 mi (10 km) of Kotor Old Town Walls and St. Triphon Cathedral. Sveti Dorde Island and Our Lady of the Rocks are also within 12 mi (20 km). 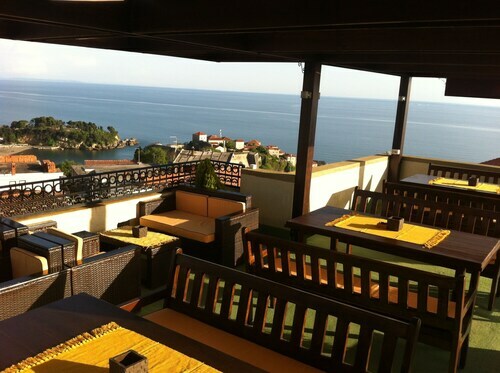 Situated by the sea, this luxury hotel is 0.1 mi (0.1 km) from Sveti Stefan Beach and 2.5 mi (4 km) from Becici Beach. Milocer Beach and Kamenovo Beach are also within 2 mi (3 km). This family-friendly Pržno residence is located by the sea, within 1 mi (2 km) of Kamenovo Beach, Milocer Beach, and Sveti Stefan Beach. Becici Beach is 1.3 mi (2.1 km) away. 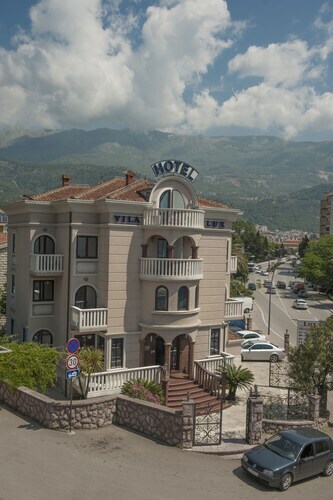 How Much is a Hotel Room in Montenegro Coast? 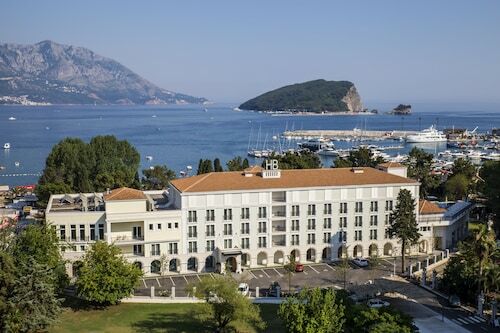 Hotels in Montenegro Coast start at $28 per night. Prices and availability subject to change. Additional terms may apply. Pack your bags—it’s time to embark on a getaway. Whether you’re craving a solo retreat or promising your family a vacation to remember, book one of the best hotels in Montenegro Coast. These hotels are located within easy access of the city’s hottest attractions and entertainment, so you won’t miss a beat while you’re in town. Spend the days exploring the local landmarks and the evenings getting to know the nightlife. After exploring the city from top to bottom, rest up at a hotel that speaks to you. Find the perfect place that matches your trip’s vibe, from a trendy boutique to family-friendly accommodations. 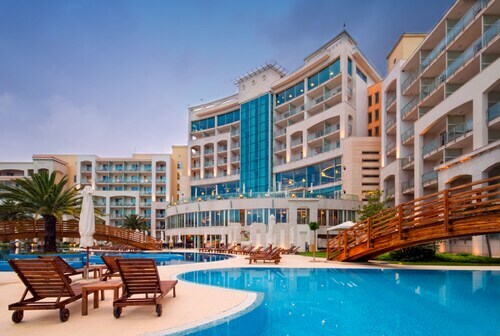 Allow us here at Travelocity to pair you with up Montenegro Coast hotels that suit your vacation preferences. Discover places with convenient on-site restaurants, around-the-clock service, and pools where your kids can make a splash. Some hotels may boast fitness rooms and spa services, while others feature game rooms and Wi-Fi access. 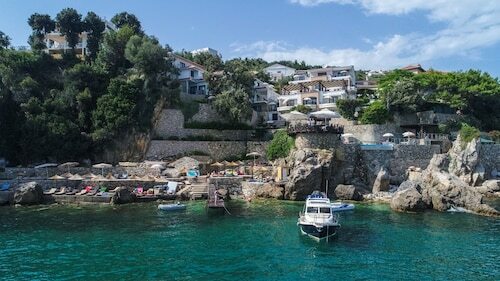 To top it all off, you’ll score cheap hotels in Montenegro Coast that let you spend more on your activities and less on your lodging. Book and bundle your flight and hotel deals together today and save up to $537. It’s time to explore a new city, and break out of your routine.